Fort Doyle an English fort placed here at the time of the French revolution and the rise of Napoleon to help defend Alderney. 1 x R676 casemate for a 4.7cm Pak36(t). 1 x Vf Casemate for a 4.7cm Pak36(t). 2 x PzT tank turrets. 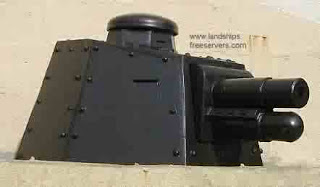 1 x PzM 12 anti-tank wall (Panzermauer). Many trenches, Machine Gun positions, trenches, field positions minefields and barbed wire defence..
Fort Doyle and Crabby Bay. This would have been defended with barbed wire and mines. Fort Doyle. 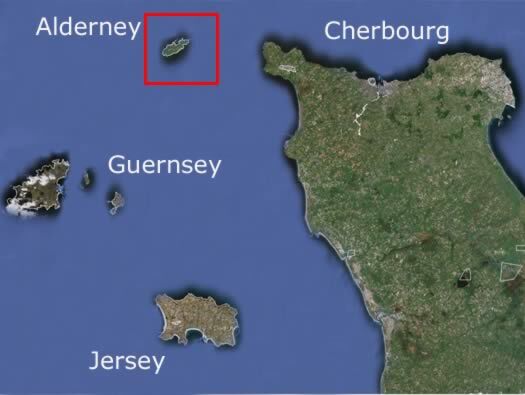 Now part of the islands waste management. PzT17 3.7 cm KwK tank turret Tobruk. Vf 4.7cm Pak 36(t) casemate. Vf 4.7cm Pak 36(t) casemate. Nice bit of camouflage. Vf 4.7cm Pak 36(t) casemate. 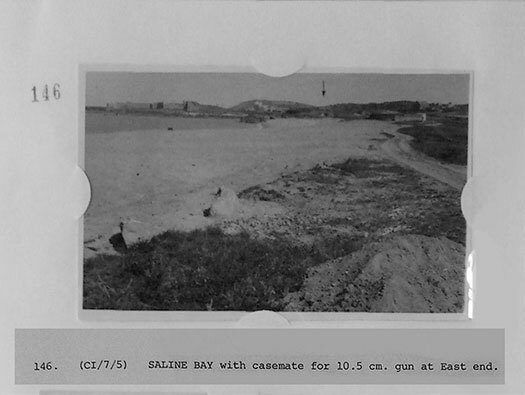 The direction of fire covering Crabby Bay with a 10.5 cm and a searchlight set into Fort Grosnez (M3 StP Josephsburg) facing this way. Crabby bay, bottom the 4.7cm gun, above the 1.5cm gun and the white arrow the searchlight. Vf 4.7cm Pak 36(t) casemate entrance with extensive camouflage o the front..
Vf 4.7cm Pak 36(t) casemate inside the gun room. Vf 4.7cm Pak 36(t) casemate. The plate to hold the gun in position is a 770P4 type. 4.7cm Pak 36(t) in place. The slot on the top right is the gun commanders viewing slot. Gun commander using the viewing slot. 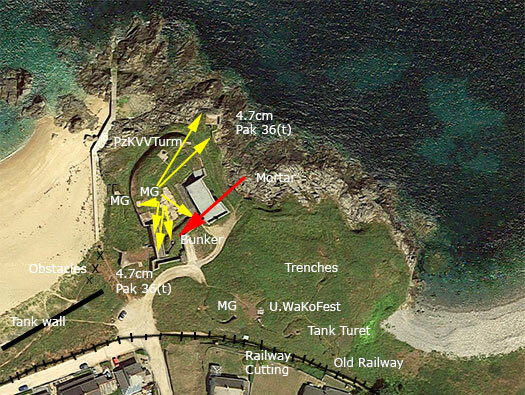 The two MG positions each side of the Pak casemate. Railway cutting to the sand dock. Railway cutting to the sand dock. Not quite sure what this is?? 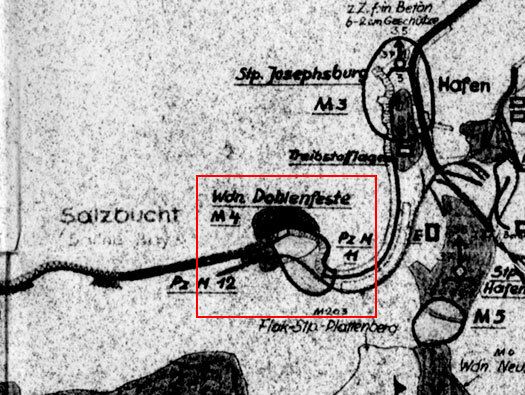 Trenches and shelter Siegfried Vf type. A shelter Siegfried Vf type. A shelter Siegfried Vf type how it would look inside. Unterstand WaKoFest bunker for twelve men. Unterstand WaKoFest bunker for twelve men. Observation post. Unterstand WaKoFest bunker for twelve men. Entrance, we did not go in although I believe it is accessible and clean. A small recess maybe for ammunition of just sheltering. Another Ft tank turret but this one is a free running on a ball bearing race and not toothed to be turned by a rear wheel..
Possible plan of the Tobruk. Ft tank turret where the ball bearing race sat on the turret ring and no toothed gears. I would think this was a machine gun type and not a 3.7cm KwK type gun. A machine gun could be a Hotchkiss. A French machine gun like this type a Hotchkiss M1914. A large hole that could be for a small hut?? R676 casemate for a 4.7cm Pak 36(t). Plan of an R676 casemate. 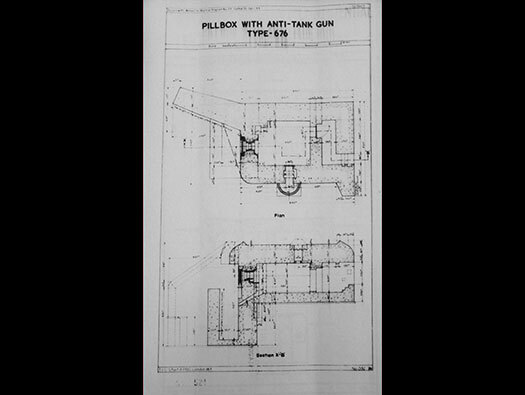 Allied plan of an R676 casemate for a 4.7cm Pak 36(t). Front piece of the casemate showing an outer shield and the inner 770P4 type plate. Between the inner and outer was a sliding door that rose and fell vertically via a set of pulleys and a handle inside the casemate to protect the door. The gun room and gun and handle to wind the steel plate up and down to protect the gun from direct fire. We could not get inside but I have seen on the inside wall naming the bunker as 577. Showing the area it covered. Escape which comes up from inside the bunker. The graffiti in the concrete is rather new I am afraid. Plan of a bunker escape. Looking into an escape shaft. Periscope fitting. The idea of a periscope is a very good idea. 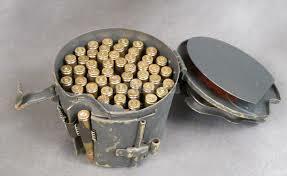 There is only one way to look out of a bunker and that is through the gun site or commanders slit. So having a periscope which can also magnify the image and give 360° view. The view through a periscope. Vf MG bunker. Looking at the back wall and entrance. The entrances are larger than a standard door and we could not work out what sort or was there any rear doors?? Vf MG bunker. Gun room. How the machine gun would have looked. A picture from DEFE/2/1296 Photographs taken by Major G.G. Rice, September 1944.